Sally meets Stu > ONE NIGHT ONLY! Velocity presents Danielle Agami and Ate9, Seattle’s newest dance company. 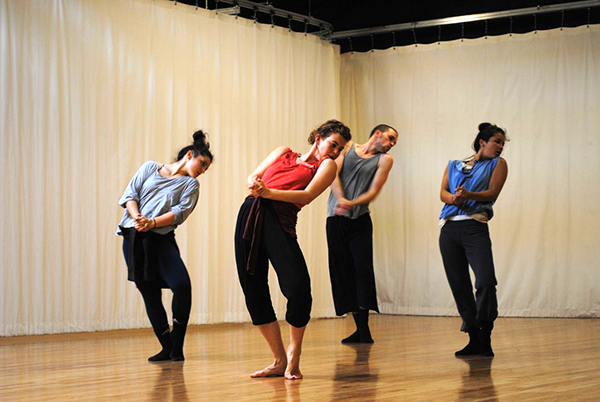 Agami, former dancer/Rehearsal Director with the world-renowned BatSheva Dance Company, was in residence at Velocity this summer teaching and creating a world-premiere with a hand-selected cast from across the country. Inspired by her residency, Agami founded Ate9, choosing Seattle as the company’s homebase and inviting Seattle dancers Kate Wallich, Erica Badgeley, Sarah Butler, Chantael Duke and Matt Drews to join her. Velocity is delighted to have played a pivotal role in bringing this world-class artist to our region. Experience Ate9’s encore performance of Sally meets Stu within the lush cabaret environment of Century Ballroom. Agami’s virtuosic movements push the dancers to their edge in an ensemble performance that is raw, refined and explosive with costumes by Barcelona fashion designer Natalie Capell. Danielle Agami, Gaga/USA Producer and former member of Israel’s world renowned BatSheva Dance Company, is in residence at Velocity throughout the summer creating a new work with a stellar bi-coastal cast from Seattle, Los Angeles, Boston and Pittsburgh. Throughout July and August, Agami offered events open to the community: her popular Gaga Classes, Open Ate9 Company Classes and Open Rehearsals taking place at Velocity and Cornish College of the Arts. The project culminated with Ate9’s world premiere August 31st at Century Ballroom and continues with an encore performance November 9th. Ate9 company members invite you into their rehearsal process and growth as a company. Danielle Agami was born in Israel and was a member of the BatSheva Dance Company from 2002-2010. She was the artistic director of BatSheva Dancers Create from 2007-2009, and served as the company’s rehearsal director from 2008-2010. 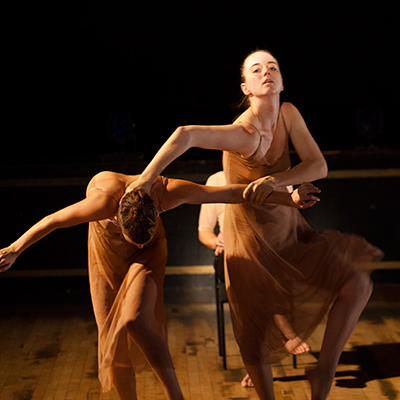 In 2009, Danielle was recipient of the Yair Shapira Prize for Excellence in Dance. After eight years with the BatSheva Dance Company, Danielle relocated to New York, where she was senior manager of Gaga USA. She is currently living in Seattle and where she has founded Ate9 with a stellar bi-coastal cast and is discovering her artistic voice as a dancer, choreographer and teacher. Sally meets Stu was commissioned and made possible through Velocity’s Guest Artist Series Program with sponsorship from Cornish College of the Arts. This program is supported in part, by a grant from the Washington State Arts Commission and the Consulate General of Israel to the Pacific Northwest. Additional thanks to Century Ballroom.